Donald Trump was represented on stage by a cauliflower impaled on a music stand. The other props involved in British comedian Andy Zaltzman’s Comedy Festival show were a pineapple, an ancient computer router, a copy of the New Scientist and Zaltzman’s laptop, which didn’t, from row E, look particularly flash. But Zaltzman didn’t need hi-tec to deliver. His act flourishes on his capacity to deliver dense, lexically-complex monologues which skitter from Syria to Trump to Brexit, via Hitler, Primary Industries Minister Nathan Guy and Wayne Shelford’s testicles, but always returning, like a child to a comfort blanket, to the love of his life: cricket. Most of the crowd seemed to know Zaltzman from The Bugle, a long-running satirical podcast collaboration with John Oliver, which has continued since Oliver quit last year to focus on his US successes. That provided one of the night’s smarter gags, when Zaltzman asked who in the room hadn’t heard of Oliver, and got one hesitant cheer. Well, he declared triumphantly, everyone in this room had heard of Andy Zaltzman. There were a couple of segments that didn’t really work and Zaltzman could have cut ten minutes from his set and still sent a very engaged audience home happy, but the pace and the gags-per-minute ratio meant that if you didn’t like that joke, there was another one along in ten seconds and the enjoyable energy was underlined by a simple but smart crack about taking an interval and it lasting only eight seconds. A laborious set up involving the router and the cauliflower required the audience to trust Zaltzman, but they did, and he brought things home with panache, with the cauliflower proving surprisingly knowledgeable about New Zealand sports history and Zaltzman to have paid enough respect to his audience here to personalise a show that had clearly served him well across the Tasman already. 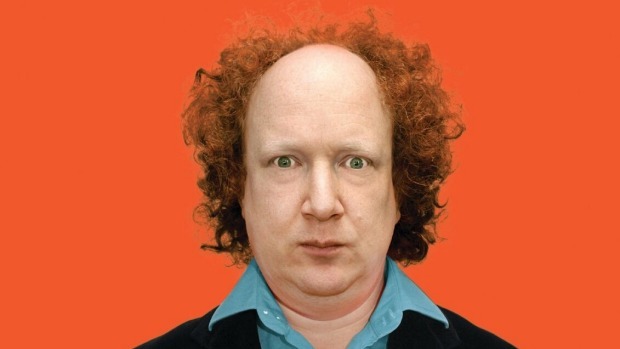 Andy Zaltzman: Plan Z, Hannah Playhouse, Wellington.